We are delighted to announce that our 2018 November Show will be Greenday's 'American Idiot'!! Based on Greenday's hugely successful concept album of the same name, American Idiot follows three young men in their attempts to flee from the suburban lifestyle that they are trapped in. Their individual journeys and hardships are conveyed through striking visuals and powerful lyrics, with the energy of a rock concert. We are extremely excited to announce that The 10th Session of UCD Musical Society's Inaugural Show will be ‘The 25th Annual Putnam County Spelling Bee’! 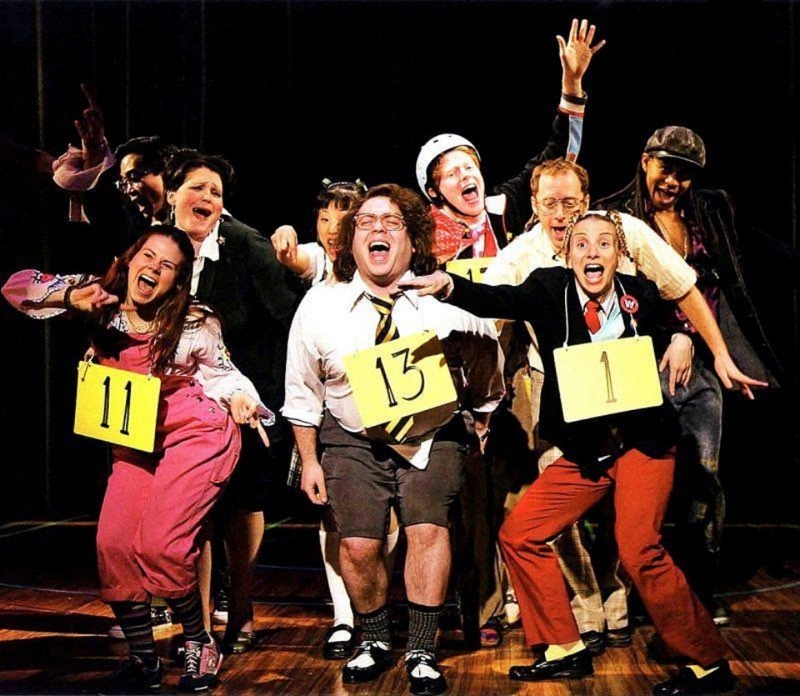 It’s time to #GetBuzzed - 25th Annual Putnam County Spelling Bee will be running from 25th to 27th September and it will most definitely be one not to miss!! Well wasn't this a very special weekend for UCD Musical Society?! Having received a whooping five nominations in total for the AIMS awards down in Killarney, we can say with certainty that the 8th Session is one for the history books. Massive congratulations to Colin Gilligan for winning Best Supporting Actor (Hugh Dorsey, Parade), Derry Mae Keeling for winning Best Actress (Lucille Frank, Parade), Katie Duffy for winning Best Choreography (In The Heights) and a huge congratulations to Caoilfhionn Ni Dhulaing who was nominated for Best Female Singer (Nina Rosario, In The Heights) and to the entire production team and cast of Parade which was nominated for Best Overall Show! We are so excited to announce that our November Show for 2017 will be Spring Awakening! The show will take place in Astra Hall from the 21st to the 25th of November! We are delighted to announce the cast of our Inaugural Show production of She Loves Me! Ensemble: Mairead Bond, Adele Crilly, Jack Hanrahan, Derry Mae Keeling, Gráinne Larkin, Kate McBrearty, Niamh McGowan, Caoilfhionn Ni Dhulaing, Seán O'Neill. Coming to Astra Hall from the 26th to the 28th of September! And with that we say farewell to the 8th session! There is no single person to thank for how incredible this year has been, from sell out performances, the very first Inaugural musical, winning Intervarsities along with every open mic, tea&tunes and workshop. We wish the incoming 9th Session Auditor Róisín Heenan and her committee the best of luck as they embark on what will be one of the best experiences. Massive congratulations to all of our incredible Freshers for their performances in the Freshers' Takeover Part 2 which took place in Astra Hall on the 11th of April! This amazing showcase of talent showed excerpts from Footloose, Sweeney Todd and Hairspray. Safe to say the future of our wonderful society is in very safe hands! Huge well done and big thank you to everyone involved in the second annual Musical Theatre Intervarsities! With performances from UCD, NUI Galway, Cork IT, TCD, Maynooth University and DCU it really was a night to remember. Special thanks must go to Queens University for travelling all the way down to take part in the weekend! UCD's performance of Newsies was awarded Best Female Performer (Leah Meagher), Runner up Best Male Performer (Aidan Byrne) Best Choreography, Best Visuals and Best Overall Performance. 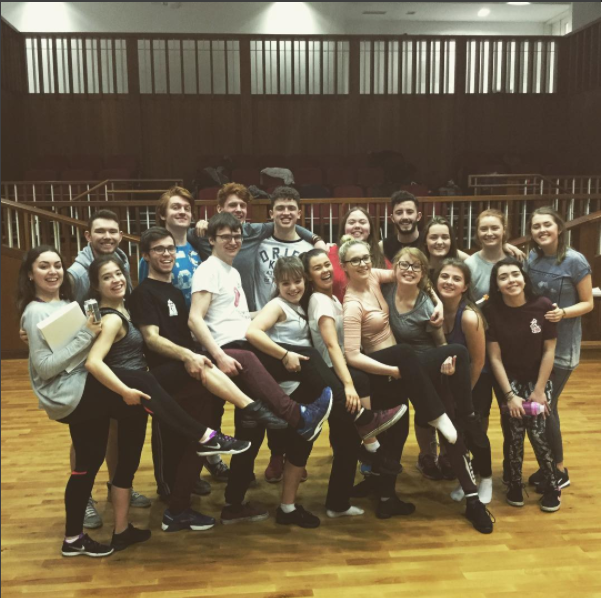 In The Heights was a roaring success for UCD Musical Society with raving reviews from all! Massive thank you to everyone that was involved in bringing this together from production team, cast crew and the 8th session committee, well done to all. And what a success Parade was! Our semester 1 show really turned heads with the level of talent that took to Astra Hall stage. Congrats to all involved! The 3rd annual Performing Arts Ball was a huge success last Thursday 3rd November in FitzPatricks Castle Hotel. With over 150 attending the ball the night did not disappoint. A big thanks to our amazing Events Officers Marco McVey & Clodagh Smullen for putting the event together along with the UCD Symphony Orchestra. In The Heights auditions are running this week Monday - Wednesday in the UCD Student Centre and are open to all members. Check out the Facebook event here for more details. 2 weeks after Freshers Week and we are still thrilled at what a huge success it was, giving great excitement for the year to come. We hosted multiple workshops, Vocal Group came back with a bang and we hit over 1000 members! A huge thank you to all that got involved during the week, we hope to see your continued enthusiasm throughout year! Congratulations to the 7th session committee on what really was an amazing year. With the 7th session now closed we look forward to what is promising to be an equally brilliant 8th session led by by our new auditor Sarah Egan. Keep an eye out for updates on the website, and on our Facebook, Twitter and Instagram pages. 6 days. 7 shows. It's all come to and end. Thank you to everyone who came to see one of our performances, we hope you enjoyed it as much as we enjoyed putting it together. Thank you to each and every one of you who were involved in our November show. From the creative team, to the cast, to the orchestra, to everyone who helped out backstage - we couldn't have done it without you all. Thank you, too, to our wonderful audiences. Our Performing Arts Ball in October last year was a huge success and we are already so excited to do it all over again this year! We were delighted to welcome Irish Musical Theatre sensation, Rebecca Storm, to UCD last October. She gave an open masterclass to ten of our lucky members, and we loved meeting her!